The physical characteristics of asbestos coupled with its naturally occurring minerals once made it an ideal building material. The fibre that asbestos is made of is incredibly strong and has a heat tolerance of up to four hundred degrees Celsius. Asbestos used to be commonly used for walls, roofing, flooring, insulations, adhesives, gaskets and many forms of cement. But all this was before people began to realize the numerous health hazards associated with asbestos. In many buildings built before 2003, there are still traces of asbestos, and this can pose a very real health risk when the fibres are breathed in. In Australia, asbestos is very heavily regulated and has been banned from use in construction material. For this reason, many people need to seek out an asbestos survey company to inspect their properties. But before doing so, here are the factors to look for in an asbestos survey company. Look for accredited and licensed professionals. Compare costs of different companies. Obtain an asbestos survey and inspection. Obtain a management plan for any contaminated areas. Asbestos testing must be performed by licensed specialists in the field. 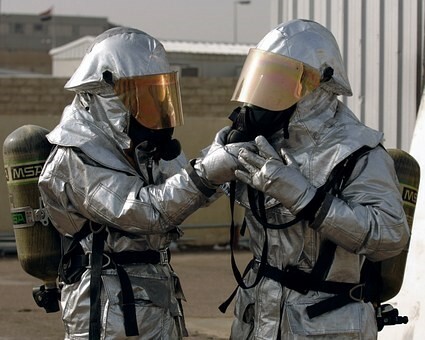 These professionals are trained in handling the hazardous material. There must be extensive testing for asbestos to find and identify if the fibre is present in the structure. At Site Environmental and Remediation Services (SERS), we have an asbestos mitigation team that offers testing, surveying and management services for clients from a highly qualified team. When looking for an asbestos remediation company looking at cost is a huge factor. Because it’s a specialised service, many companies try to charge more than is fair. That’s why it’s important to compare costs when shopping for an asbestos survey company. However, it is of utmost importance to contain risk, which in return will help to minimize costs to the customer in the long run. At SERS, we work with its clients on keeping costs down. All renovators, investors and homeowners are urged to get asbestos testing, as it can be a major health risk, as well as a huge financial risk. The company that you select should be able to offer you asbestos inspections and reports. Our team at SERS offers a real time, comprehensive survey for the mitigation of asbestos for residential properties. The surveys are very cost effective and a reliable way to find out about these risks. To look more in depth at the process for inspections and reporting, look to our SERS website for detailed information. The codes that must be followed by Safe Work Australia state that all buildings that have a suspicion of asbestos must be surveyed. A survey involves the assessment and identification of asbestos within the building. When you search for an asbestos survey company, you want to ensure that they adhere to the codes set forth by Safe Work Australia. At SERS, all our procedures meet the Safe Work Australia regulations. We follow the following steps when conducting a survey: complete a visual inspection, pinpoint any materials that may be contaminated with asbestos, record the accessibility and types of material, assess potential damage and look at current conditions, and provide recommendations on how to minimize and/or control the risk. Once all of this is completed, we send out any suspected samples of contamination to accredited laboratories for analysis. This is an important step, as we believe that the results of these tests are crucial in assessing the health risks for anyone in the building. With this data, a strategy can then be formed to create a management plan that will provide a guide for our clients on which methods should be used in the handling of the materials. Having an accredited laboratory look at an analyse samples is crucial to any remediation service. If the company you choose is truly dedicated to following through on all asbestos testing, they will have their own accredited laboratory. At SERS, we have our own accredited laboratory that can analyse well over ten thousand fibre samples in a year’s time. We operate five field labs that can easily be dispatched to any locality in Australia with a twenty-four-hour window, with all necessary equipment. All inspections and assessments are completed by the specialists at SERS always in accordance with intense quality control standards. When you choose SERS for your asbestos surveys, you can depend on having a very experienced team that provides clients with a high level of expertise, especially in the fields of asbestos management and surveys, asbestos monitoring, and much more. At SERS, we have worked extensively with clients across many industries for surveying for asbestos. We specialize in commercial and residential properties, and we have over forty years’ experience in the industry. To receive further details on asbestos mitigation don’t hesitate to contact us by filling out an online inquiry form found at https://www.sers.net.au/. Please include detailed information on what type of project is being looked at, and one of our specialists will be in contact soon.